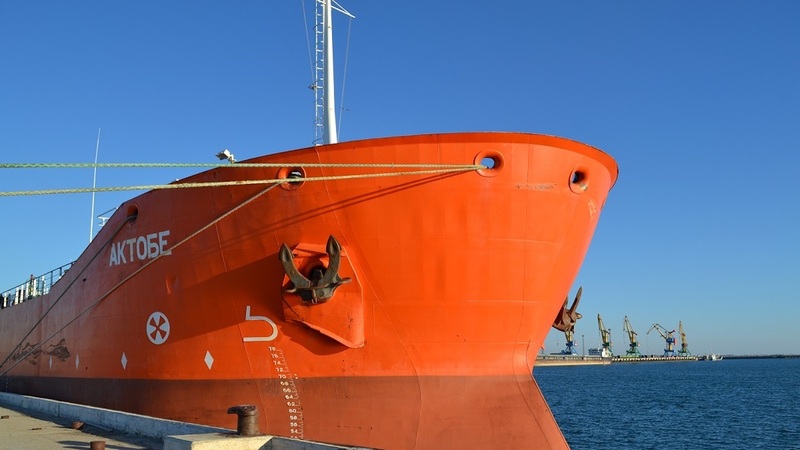 ASTANA -- Kazakhstan has opened two of its ports on the Caspian Sea as transit points for the delivery of non-military goods from the United States to Afghanistan. Lawmakers approved a draft law March 7 to ratify the move. Access to the ports of Aktau and Kuryk will allow the United States to set up an alternative route to Afghanistan, bypassing Russia. The goods will go by ship from Azerbaijan across the Caspian Sea to Kazakhstan, and then overland to Uzbekistan. From there, shipments will go by rail to Afghanistan, the Kazakhstani Foreign Ministry said earlier in March. NATO and the United States previously used a transit route that ran through Ulyanovsk, Russia, to deliver military cargo to Afghanistan. In May 2015, the Russian government cut off access to that route. The decision resulted from the expiration of the UN Security Council resolution that established the International Security Assistance Force in Afghanistan in 2001, said Moscow. That combat mission ended in December 2014. The true reason for the move was the deterioration of relations between Moscow and Washington, said Almaty political scientist Talgat Ismagambetov. "The subsequent renewal of sanctions against Russia for a year in March  by the US [administration] leaves no hope of renewing the northern route," he told Caravanserai, referring to the route through Russia. A less secure route through Pakistan remained an option for coalition forces, he said, but various security concerns and political changes made the route unreliable. 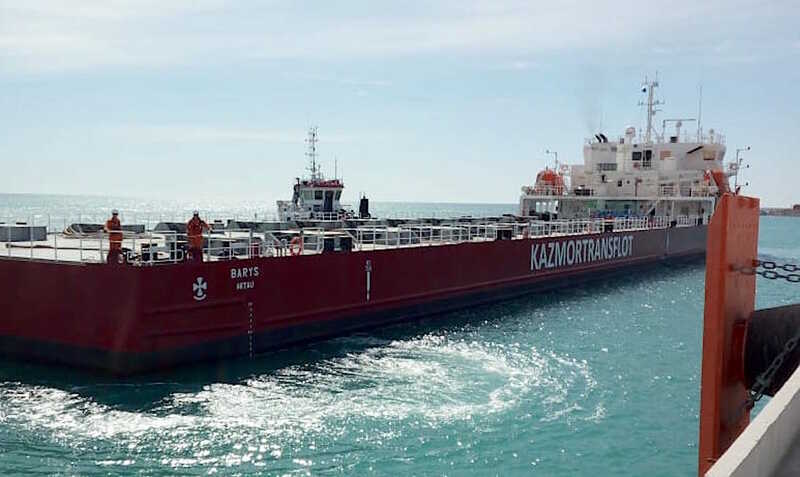 Opening Aktau and Kuryk ports to non-military cargo from the United States is a continuation of a transit agreement inked in 2010, according to Kazakhstani Foreign Minister Kairat Abdrakhmanov. Since that time, about 700 containers of US goods passed through Kazakhstan, earning local transportation companies more than 200 million KZT ($625,000), he told Kazakhstani TV channel KTK March 7. Kazakhstan and the United States also agreed to a five-year military co-operation plan for 2018-2022. The two nations declared they were expanding their strategic partnership following Kazakhstani President Nursultan Nazarbayev's meetings at the White House in January. The renewed co-operation envisages not only greater economic ties between Astana and Washington but closer political and military co-operation as well, particularly regarding the conflict in Afghanistan. Kazakhstan is demonstrating its friendly relations and readiness for a close partnership with the United States by opening its ports on the Caspian Sea to US cargo, said Islam Kurayev, a political scientist from Almaty. "Kazakhstan is [also] interested in an American presence in Afghanistan," he told Caravanserai, calling Afghanistan "traditionally a focus of instability in the region". "Drug trafficking, a stream of extremist elements and insufficient border [security] are urgent problems for our country," he said. "From this point of view, the United States is providing ... order and stability in Afghanistan." "Kazakhstan does not intend to put all its 'security eggs' in one CSTO [Collective Security Treaty Organisation] basket, particularly taking into account the lack of development of this organisation," said Sultanbek Sultangaliyev, a political scientist from Uralsk, referring to the Russian-led Eurasian military alliance. "Co-operation with the United States is a manifestation of pragmatism," he told business magazine Exclusive last July. Such a friendship might draw the ire of Russia, which has no qualms about interfering in the affairs of its neighbours, especially in Central Asia. If angered, "Russia has enough levers to act on both Kazakhstan's domestic and foreign policy," Daniyar Kusainov, a Kazakhstani-born political scientist living in Oslo, Norway, told Caravanserai. An old friend is better than two new ones. That's on the one hand. On the other hand, each and every country should think about its own economic benefit. No country in the world has ever benefited from unbridled ambition, either in terms of economics or politics. All the more so when friendship exists. Shame on the Kazakhstani journalists that are driving a wedge between two close neighbours! Russia has done so much for the development of Kazakhstan. Are you afraid of the USA, just like other countries? Shame on you!!! Kazakhstan and the USA have established very significant cooperation, especially in the military sphere!